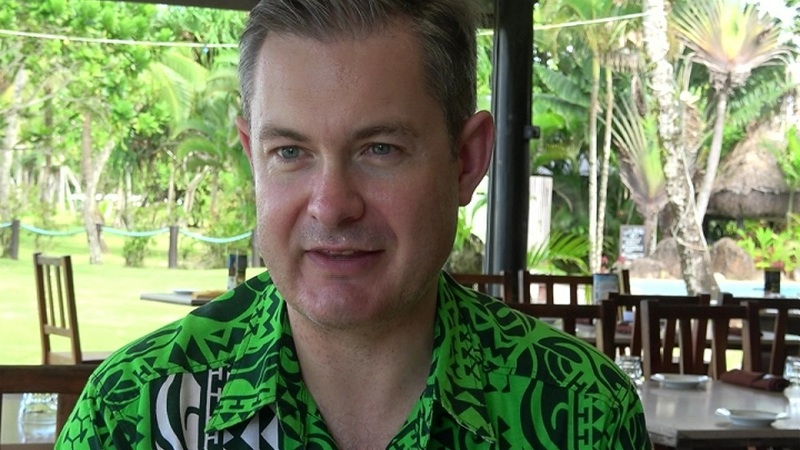 Torn between two countries, New Zealand High Commissioner to Fiji Jonathan Curr wishes nothing but the best to the Fiji Airways 7s team and New Zealand in their last pool match later tonight. As a proud New Zealander, Curr says the rivalry between the two countries in the rugby sevens arena is always a marvel to watch. Curr anticipate the game between Fiji and New Zealand to keep all Fijians and Kiwi supporters alike at their feet. Sending his well wishes to both teams, Curr says he expects a good game between the two countrie. Fiji and New Zealand are currently leading Pool D with a win each. Both teams need to secure one more win each in order to qualify as top two teams from its pool. Fiji will meet Australia in its second pool match a few minutes from now, and play New Zealand in its final pool game at 8.55pm.